The people-orienteds prince and loved by many. Tunku Jalil has always been an attention to the people of Johor. HE was the people's prince and loved by so many. The late Tunku Laksamana of Johor, Tunku Abdul Jalil Iskandar Sultan Ibrahim had always warranted public attention, especially from the people of Johor. Born on July 5, 1990 to the Sultan of Johor, Sultan Ibrahim Sultan Iskandar and Permaisuri of Johor, Raja Zarith Sofiah Sultan Idris, Tunku Jalil, as he was fondly known, was the fourth out of six siblings. Those who personally knew him deemed kindness as his best trait. 1. He was an animal lover and volunteered at the Singapore Zoological Garden in Reptile and Veterinary Department for a year. 2. Subsequently, he applied to study Zoology at the Zoological Society of London for two years. 3. Upon his return from London, he became a volunteer at the Sepilok Orang Utan Rehabilitation Centre in Sabah. 4. Tunku Jalil was heavily involved in activities with charity organisations including the Johor Spastic Association, Malaysian Nature Society, the Orangutan Appeal UK and the Malaysian Red Crescent. 5. He was appointed as Vice Chairman of Community Services for the Malaysian Red Crescent at the age of 18. Among other activities, he helped the society provide for and distributed aid for flood victims across Johor. 6. Tunku Jalil made frequently visited patients at the Sultan Ismail Specialist Hospital and Sultanah Aminah Hospital in Johor Bahru. 7. At the age of 21, he joined the Royal Malaysian Police and underwent Officer training for a year, and followed by Special Forces (UTK) training courses at a technical college in Muar. 8. Before his service with the police ended, he joined to become a "Pegawai Pemantau Pulapor" (Police Training Centre monitoring officer) in Kuala Lumpur. 9. Tunku Jalil is the first Johor prince to serve in the police force. He completed a nine-month training course to become an Inspector. 10. 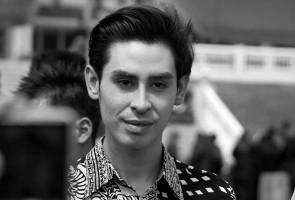 Unlike other royals, Tunku Jalil did not play polo due to an allergy to horse hair. 11. Tunku Jalil had been diagnosed with liver cancer late last year. He previously underwent a liver transplant at the First Affiliated Hospital of Sun Yat-sen University in Guangdong, southern China, on Dec 10, 2014. 12. Because of his son's illness, Sultan Ibrahim set up the Tunku Laksamana Johor Cancer Foundation, which helps cancer patients in need of financial aid and treatment.